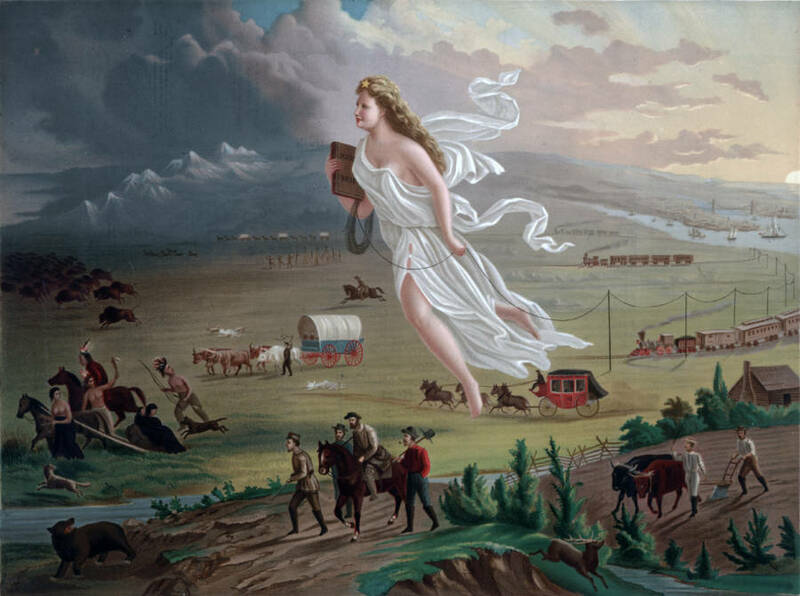 American Progress by John Gast depicts “manifest destiny.” Though the term wasn’t coined until 1845, the idea was very much in place by the 1830s and the impetus behind the Trail of Tears. Throughout the 1830s, President Andrew Jackson ordered the forced removal of tens of thousands of Native Americans from their homelands east of the Mississippi River. This perilous journey to designated lands in the west, known as the Trail of Tears, was fraught with harsh winters, disease, and cruelty. The name came to encompass the removal of all five tribes that occupied the southeastern United States. All tribes incurred thousands of deaths and all experienced the sorrow of being ousted from their ancestral homelands. Today, many historians view Jackson’s actions as nothing short of ethnic cleansing. For generations, the lands east of the Mississippi River had been the homeland of five tribal nations: the Cherokee, Creek, and Seminole in the south and the Choctaw and Chickasaw in the west. But by the 1790s, ever-increasing numbers of white settlers spread westwards into the area who wanted to use the land to farm for themselves. “Civilization,” as proposed by Thomas Jefferson, would eradicate the Native American’s way of life and assimilate them into western culture. Jefferson believed that Native Americans were stunted by their “savage” customs and so required missionaries to teach them how to be Anglo-American. If they could be converted to Christianity; learn to speak, read, and write English; as well as dress like whites, eat like whites, and most importantly convert to European notions of individual ownership and commerce then they could be saved. These five tribes decided it was best to accept, at least in part, this “civilization” program. Collectively they came to be known as the “Five Civilized Tribes.” Though Jefferson saw the assimilation of Native Americans into white culture as inevitable, he did also consider relocating the Natives further west after the Louisiana Purchase of 1803, but he never did. 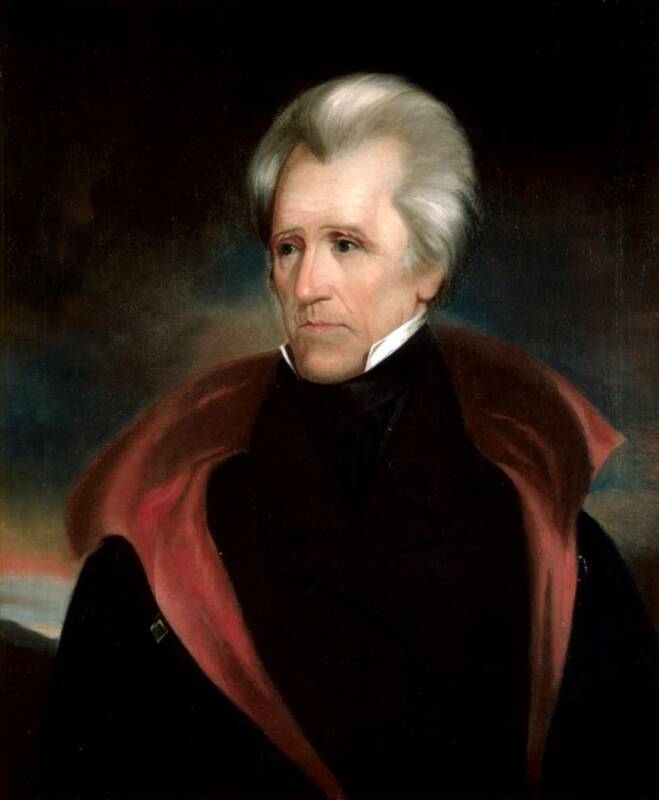 It would be President Andrew Jackson, then, who forced the relocation of the Natives when he signed his Indian Removal Act into law on May 28, 1830. President Andrew Jackson, the mastermind behind the Trail of Tears. Jackson’s motivation was to expand the influence and economic prosperity of the United States. In particular, he wanted to make way for cotton growth on a large scale. Native Americans, consequently, did not fit into this plan for the new southeastern United States. Instead, the Native Americans were transferred to new territory hundreds of miles away. The Indian Removal Act authorized Jackson to negotiate relocation terms with the five tribes to the west of the Mississippi and onto an “Indian colonization zone.” This zone was located in present-day Oklahoma, and Jackson promised the tribes parcels of land larger than their homelands. But, in reality, Jackson had no interest in making deals with the tribes. Instead, Jackson conducted the Removal program in a most brutal fashion. He applied pressure on the tribes by refusing to pay annuities to tribal chiefs. He allowed the southern states to destroy tribal governments, make tribal laws illegal, and deny Native Americans the right to vote or sue in court. Thus weakened, it was then easier for Jackson to coerce the tribes into unjust Removal treaties, and one by one the tribes relented. The Choctaws were the first to go within the year. It was a brutal trip with many “bound in chains and marched double file,”. They were forced to endure floods and sub-zero temperatures. In 1832, the removal of the Seminoles from Florida began. But they did not go quietly — the Seminoles resisted. The Seminoles fought U.S. forces in two ultimately futile wars. Many Seminoles were killed in the conflict while others were tracked down by bloodhounds and crowded onto ships bound for Indian Territory. Some managed to evade capture and remained in Florida. There were a number of different routes by land and water which along the Trail of Tears. Of the 15,000 Creek who marched to Oklahoma beginning in 1834, only 3,500 survived. Meanwhile, the Cherokee attempted to use the white man’s systems against him. 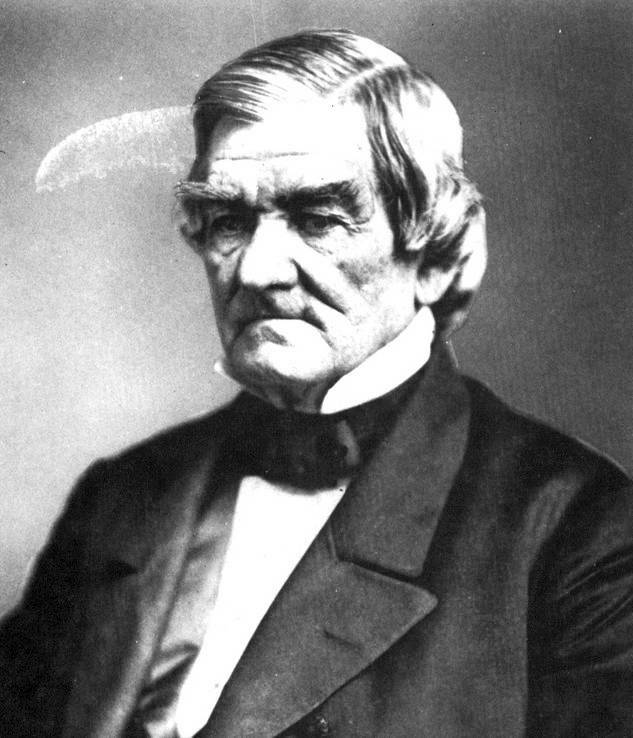 After Georgia sought to extend its itself into Cherokee land and pillage its gold deposits, John Ross, the Cherokee’s first elected principal chief, decided to take the state to the Supreme Court. Ross was part of a new generation of highly educated mixed-blood Cherokees, who had integrated “civilization” policies into their society more than any other tribe. They had modeled their own political and judicial system on the United States, and Ross had over three decades of expertise in federal law as the Cherokee’s primary treaty negotiator in Washington D.C. Thus, it was his idea to take Georgia to the Supreme Court in 1831. John Ross, the principal chief of the Cherokee Nation, took the state of Georgia to the U.S. Supreme Court. First, the Supreme Court ruled they had no jurisdiction over the Cherokees and dismissed the case, but a year later in a second landmark case, Chief Justice John Marshall ruled that only the federal government could impose laws on Cherokee lands, not a state government like Georgia. Unfortunately, the Cherokees’ success was brief. Jackson refused to back down. After failing to entice Ross with $3 million for the Cherokee’ relocation, Jackson offered $5 million to Ross’ political rivals in the Treaty Party. Although most Cherokees did not want Removal, a handful of Cherokee elites signed the Treaty of New Echota in December 1835. Ross tried to overturn the treaty to no avail. By 1838, there was a new U.S. President in office and one who held the same views as Jackson. New president Martin Van Buren ordered 16,000 Cherokees be rounded up into holding camps. Any that tried to escape were shot, while others suffered from disease and sexual assault from guards. After a month Cherokees were sent on their Trail of Tears in groups of a thousand but so many died during the summer, that removal was delayed until winter. It turned out to be a particularly harsh winter for a 1,200-mile trek and thousands more died from exposure, malnutrition, and disease. 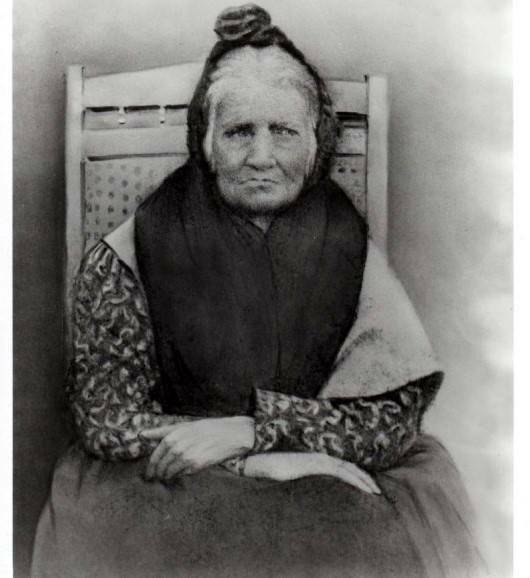 Elizabeth Stephens, an 82-year-old Cherokee woman, survived the Trail of Tears. 1903. The Cherokees would not receive their promised $5 million from the government until nearly two decades later. At the beginning of the 1830s, nearly 125,000 Native Americans lived on the myriad acres across the five tribes. But just a decade later, very few Native Americans remained in the southeastern United States. By some estimates, up to 100,000 Native Americans were relocated and over 15,000 lost their lives on the Trail of Tears. In 1907, Oklahoma became a state and any Native American territory was officially gone for good.